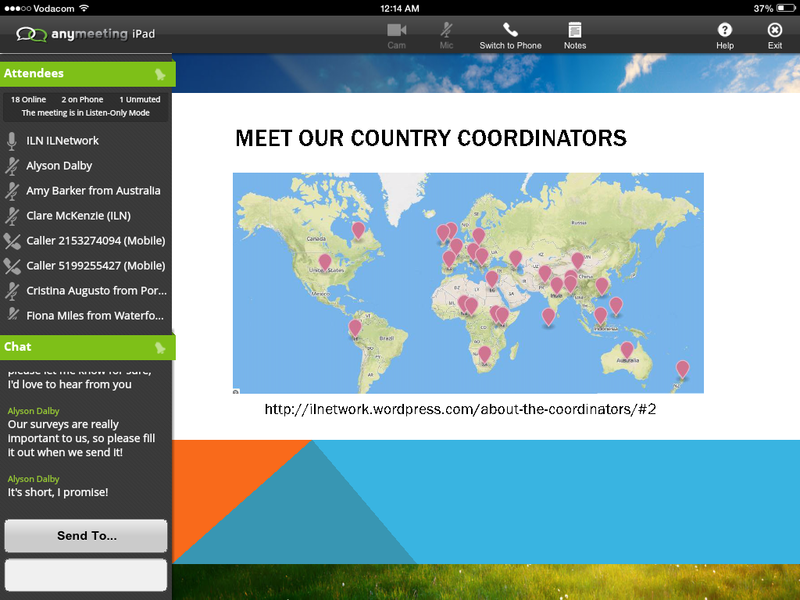 Want to build your professional network and learn about librarianship around the world? 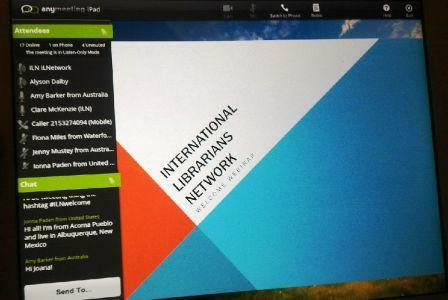 The International Librarians Network (ILN) is for you. 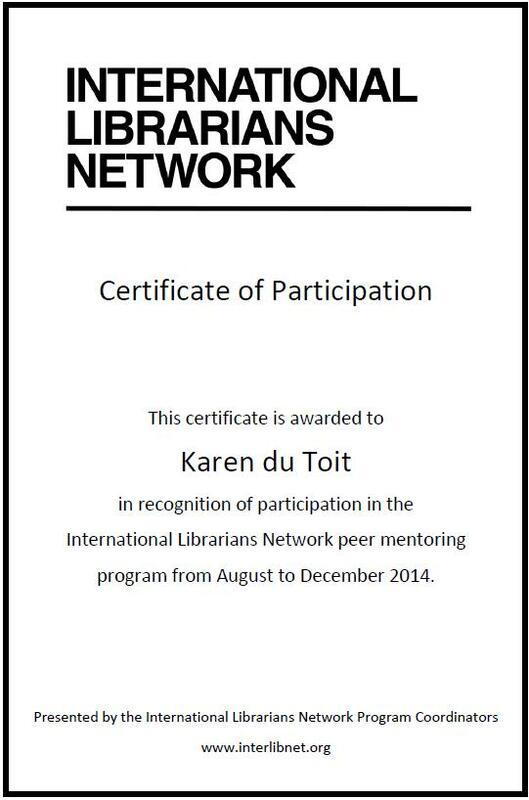 The ILN peer mentoring program is a facilitated program aimed at helping librarians develop international networks. Over 1500 librarians from 103 countries have already participated in this program, and we are pleased to announce the next round will commence in March 2015.Applications close at midnight on Sunday 15th February 2015. This is my fifth time I will be signing up for the programme. 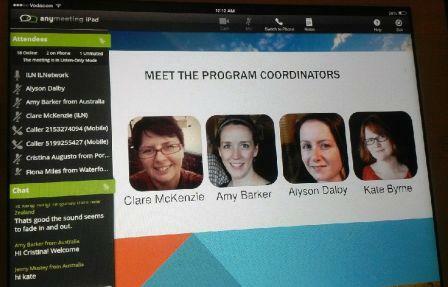 I have made new connections, and not only from my partners, but also from the people signing up for the peer mentoring. I have learnt many new things, such as the ANC 23 Mobile Things (from which this blog was born), completed the New Librarianship MOOC (because of recommendations from ILN partners), and also started with the Emerging Future MOOC. Unfortunately the end of last year was too busy to complete it, but it is still available to finish! I have definitely enhanced my own professional development, and picked up from my international partners that they are actively engaging and pursuing their own professional development. I am looking forward to connect with a new partner again! Another great opportunity for connecting with a peer mentor from around the globe. It is great for librarians as well as archivists to develop professional relationships with like-minded peers. This is my fourth round that I am signing up for.